Oleaginous Tire Wax professional is a professional use wax for tire, mostly used by professional tire shops and dealers. Depending on purposes or preferences, there are three types of tire wax to select. 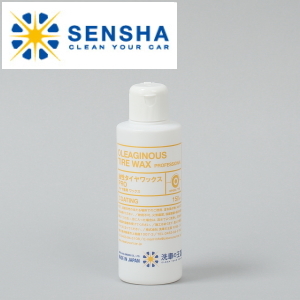 This product provide the best grade in quality among our other series of tire wax, give a touch of the tire covers the faded appearance of old and browning tires, so they always look their best. Oleaginous Tire Wax Professional is an oil based tire wax, it will not cause damage to tires. Even more, it provides a protective barrier from dirt, requiring little maintenance to clean and restore that dramatic lustrous shine. 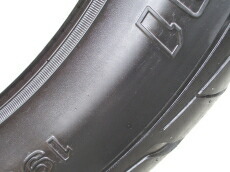 This tire wax product is used in tire professional shops. Depending on the purpose or preferences, we have three kinds of wax. We recommend this product if you wish to experience professional tire wax. Non sticky and easy for coating. It brings up tire’s natural glow. We recommend this product if you do not want to have too much luster. This product has alcohol as solvent. After application alcohol ingredient volatilizes soon. So the coating is hard scattering. The effective ingredient provides long lasting water-repellent. This product creates luster on tire just like demo car in car show room & motor shows. 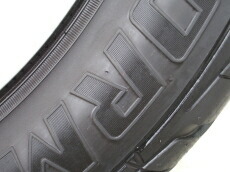 As it makes hard film on tire surface, it can bring long durability. 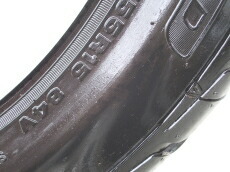 The finishing depends on deterioration of the tire.